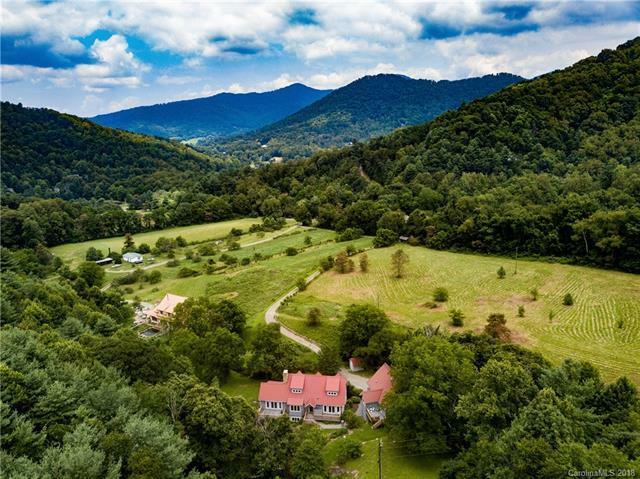 Nestled in a pvt setting in pretty Ox Creek Valley lies a mtn oasis boasting 20 incomparable acres complemented by a custom timber frame home w/metal roof and over 4000SF, plus sep guest house, bold stream, & sweeping pastoral & mtn views. 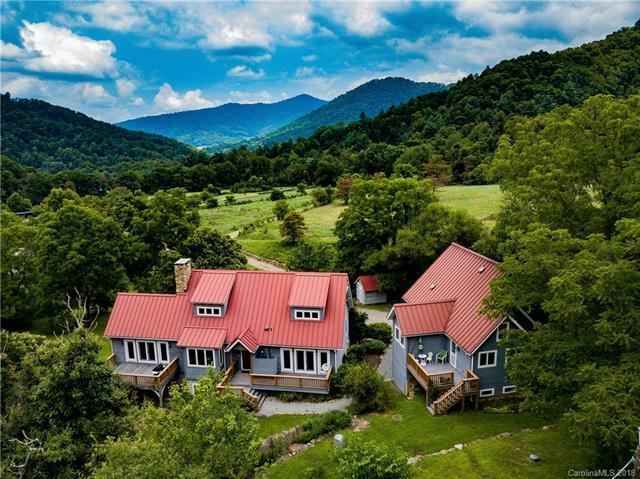 Enjoy true craftsmanship & harmonious custom features cradled in a peaceful mtn paradise with pastureland, babbling streams & endless potential. 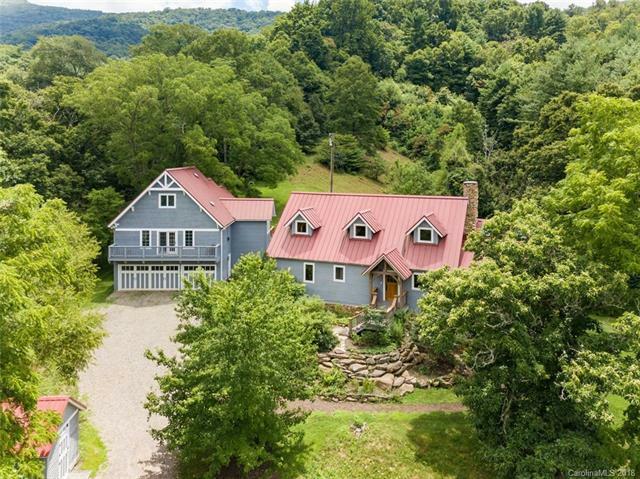 Energy efficient w/natural Southern exposure, geothermal heating system & addl European Masonry Biofire Stove. Beautifully designed 2-story post & beam great room w/dramatic stone FP; Impressive granite kitchen w/ bakers isle & rich cherry cabinetry. Master on main with options for 2BR on upper and suite on LL. 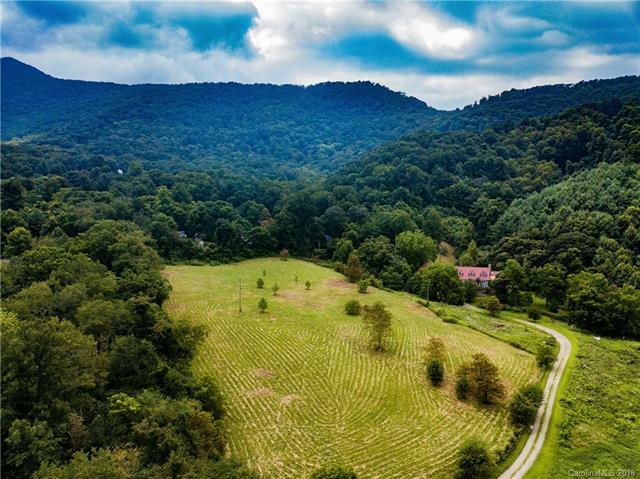 Property would be ideal for a stunning event venue, attractive vacation rental, organic farming or homesteading, development opportunities, family compound and more! Only 2 miles to the Blue Ridge Pkwy & 15 min to Asheville. If you want value and true quality over pretense, dont miss this property.